Our MLS can help feed member listings to 150+ websites, including the most popular sites used by the public today. Through direct listing syndication and third party tools, our members can get more exposure and more leads on their properties. 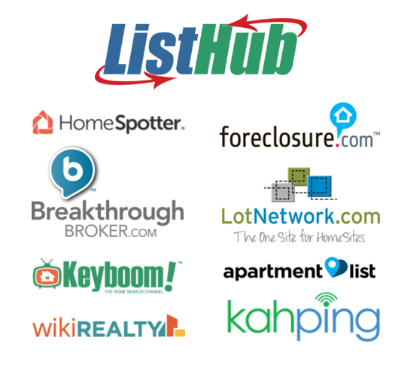 In addition to the direct listing feeds provided by our MLS, members can have their listings sent out to dozens of other websites through ListHub at no additional cost. ListHub can help syndicate listings to websites including Hotpads, RealtyTrac, The Real Estate Book, and more. For a publisher list, please visit ListHub's portal here. A member agent's broker must be a participant of the MLS in order to send listings to syndication sites.